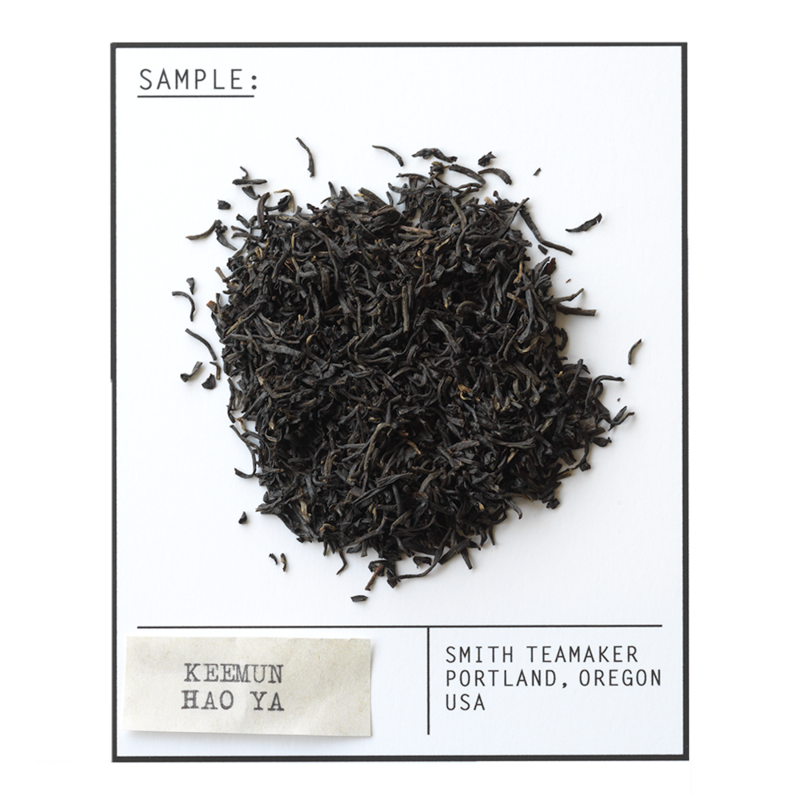 Hao Ya is one of the finest grades of Keemun tea from the mountainous Anhui Province in China. It has a thin, wiry, tightly twisted leaf with a slightly smoky flavor and aroma. Excellent straight or with milk and sugar. Automatic winner in blackjack-and black tea. Full leaf Keemun black tea from Anhui Province in China. For best flavor, bring spring or freshly drawn filtered water to a boil (212 degrees). Steep five minutes. Smell smoke? It's probably just the tea.